PST Viewer is totally FREE software that is best way to view PST file data without installing MS Outlook. Tool opens and scans corrupt pst file as well as password protected pst file. Preview of Outlook emails, contacts, tasks, journals, calendars etc. Preview of messages along with attachments and Meta data. Quick scan to repair minor corrupted PST file. Deep scan for highly corrupted PST file. No PST file size limitation, open any size file. Generates print of the selected emails directly with the new version. Run the free Outlook PST viewer. You will get the option to Add file, load that desired PST file. Once the file is loaded user have to wait till the PST file is been scanned. Scanning process will take few seconds. When the scanning process has been done. Preview of mails will appear. Email with attachments can be previewed also. 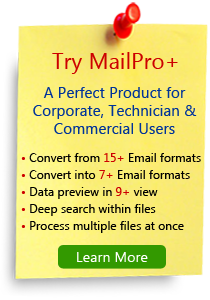 Other than free Outlook PST Viewer tool there are few more freeware products in the store, Make a use by selecting the one that suits your requirement! 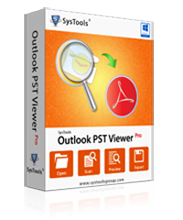 The Outlook PST viewer tool is a superb solution to read PST file emails without Microsoft Outlook. I used it many times and found helpful for reading Outlook data files. The free version software allows viewing data only that can be exported to PDF by using it's Pro edition.